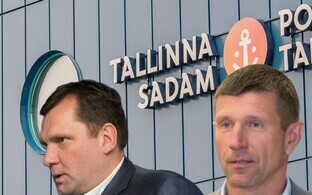 Harju County Court on Wednesday endorsed plea bargains for two individuals accused in the case of alleged large-scale bribery committed by Port of Tallinn ex-managers. The Office of the Prosecutor General accused Anna Annikova, 44, and Kaido Tamberg, 55, of repeated facilitation of bribe-taking on a large scale and as members of a group, as well as of money laundering on a large scale. Under the plea bargains, Tamberg received a suspended sentence of four years in jail with four years of probation, and Annikova a suspended sentence of two years and seven months in jail with as long a period of probation. The three days each defendant spent in jail during the pretrial investigation were deducted from both sentences. 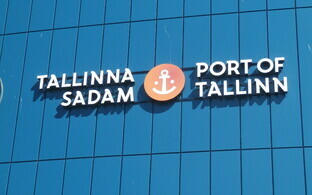 According to State Prosecutor Laura Feldmanis, Annikova and Tamberg enabled the port company's former CEO, Ain Kaljurand, to accept a monthly bribe from the port's contractual partners via their companies by enabling the use of the companies' bank accounts. They also facilitated bribe-taking by arranging a loan contract for Kaljurand and committed money laundering on a large scale by enabling Kaljurand to conceal his illegal income using their companies and by moving the money as instructed by Kaljurand, the prosecution said. The Office of the Prosecutor General is set to send the materials of the investigation relating to former Port of Tallinn managers Ain Kaljurand and Allan Kiil to court before the end of the month. The Estonian Internal Security Service (ISS), which is responsible for high-level corruption investigations in Estonia, completed their investigation at the beginning of June and forwarded the investigation materials to the defense. Currently, there are 13 suspects in the Port of Tallinn corruption investigation. 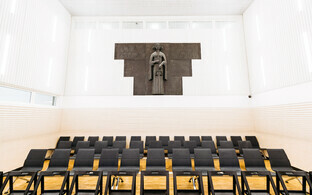 The defendants, in addition to Kiil and Kaljurand, include Eno Saar, Tõnis Pohla, Toivo Promm, Üllar Raad and Martin Paide. Also among the suspects are two Estonian nationals and two nationals of a foreign country. No Estonian businesses have been listed as suspects. However, two foreign companies have been declared suspects as legal entities. Kiil and Kaljurand are suspected of money laundering on a large scale and bribe-taking on a large scale. 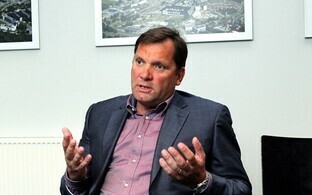 Martin Paide, former head of the service department of the Port of Tallinn, is also suspected of bribe-taking. 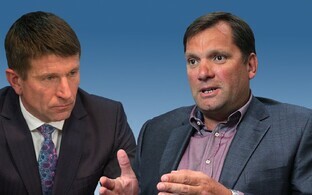 Individuals connected with businesses in the transport and logistics sector both from Estonia and abroad have been declared suspects in bribe-giving and mediation of a bribe. According to the charges, Kiil, a former member of the port company's board, accepted bribes amounting to millions of euros, while Kaljurand, former chairman of the board, accepted bribes amounting to hundreds of thousands of euros. Kiil and Kaljurand were arrested on Aug. 26, 2015 and released from custody at the beginning of 2016.